16.61mm x 17.51mm / 0.654in. x 0.689in. 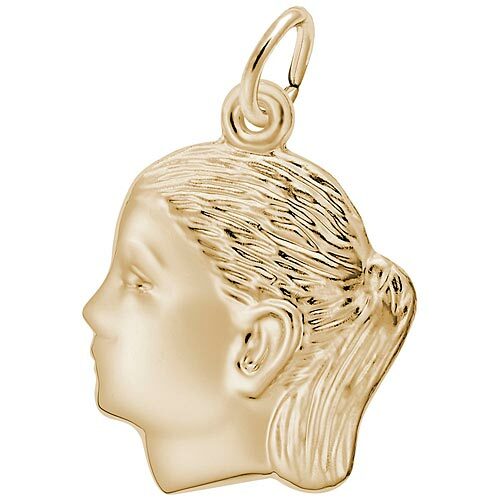 Girl's Head Charm by Rembrandt Charms. The height is 5/8 of an inch. You can engrave on the back of this Girl's Head Charm. This makes an ideal gift for Mothers and Grandmas alike to show off their children or grandchildren.